Angela Roi is a New York-based ethical luxury handbag brand, using premium animal-friendly materials and working closely with artisans to craft their handbags. Every sale supports mistreated animals with ASPCA. As a major animal lover, this brings me such joy knowing a brand is doing great work on top of their high-quality craftsmanship! To be honest, it has been hard for me to find a company that makes quality, attractive bags while not compromising its ethics. I am so happy to have found Angela Roi! This bag has meets all of my standards, and more! This look features a modern workday lady boss vibe. The Jennifer Lopez Faux-Fur Cardigan brings a good touch of masculinity to any kind of look and is perfect for the office and even a laid-back dinner with your girlfriends. I’m also obsessed with the fit and color of the coat, I’ve been wearing it since I bought it! I love how this casual outfit can go from day to night as well. 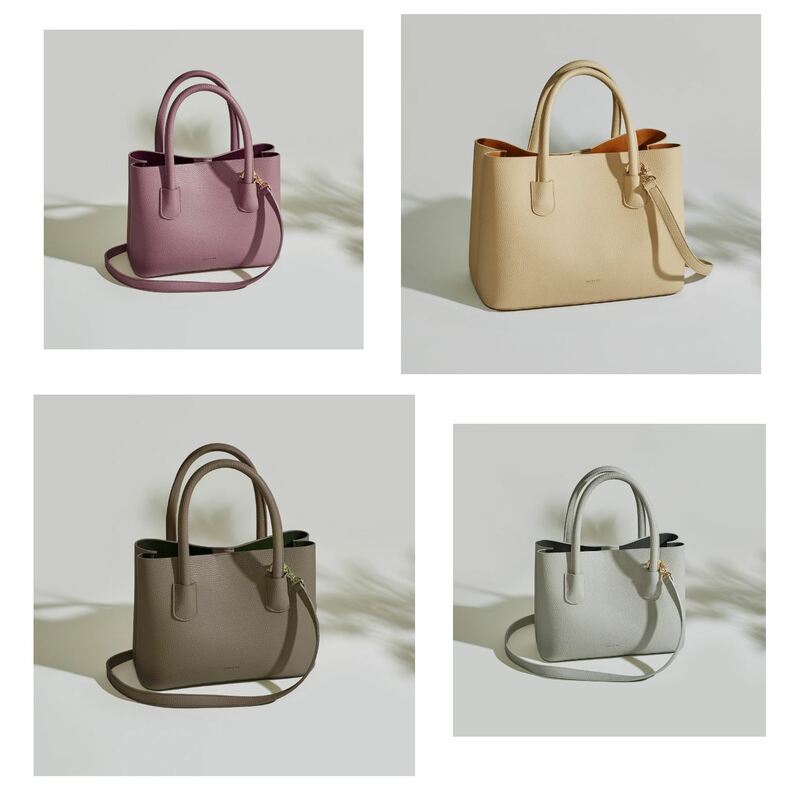 The Angela Roi CHER TOTE – CRÈME goes amazing with so many looks and is wonderful for those long days where you need to fit your essentials into just one bag. I think it’s also super trendy for the fashionable mommies! The bag is not only stylish but efficient in size and space. They have a variety of colors too if you’re into more rich, vibrant colors. Shop the rest of Angela Roi’s tote bags down below! Have a lovely day! This is a sponsored post brought to you by Angela Roi. The opinions are completely my own based on my experience. Previous Post A new obsession. The Tulle SKIRT. Next Post CORDUROY: IT’S BAAAACK! The bags are gorgeous! The Cher tote is perfect for work. Love your look too! Adore your mixed print look and these bags are just gorgeous. Love that they are vegan. Oh wow! Angela Roi bags look a lot like Prada Saffiano ones but cheaper and Vegan too! Love the cream one on you doll! Thanks for sharing amazing brands with great ethics! Such amazing and classy handbags! Would have not guess they were vegan for sure. The bag is so beautiful. I really love it with your outfit. Very chic, Love this outfit! Wow these bags look so nice! That’s one fab coat you got there dear! Absolutely loving it! Love your entire look – the bags are so chic!